‘Get into Small Boat Sailing’ is designed to introduce people of all ages (minimum 10 yrs) and sizes to the sport of sailing and assist them to develop their skills to a level where they would be ready to enjoy participation in Club sailing events. If you are about to try sailing for the first time, or you just want to enjoy sailing every now and then, the ‘Get into Small Boat Sailing’ course Basic Skills 1 & 2 is for you. Some participants with disabilities may have difficulties completing all the requirements for the certificate courses without assistance, however there is provision for the certificates to be endorsed where appropriate. 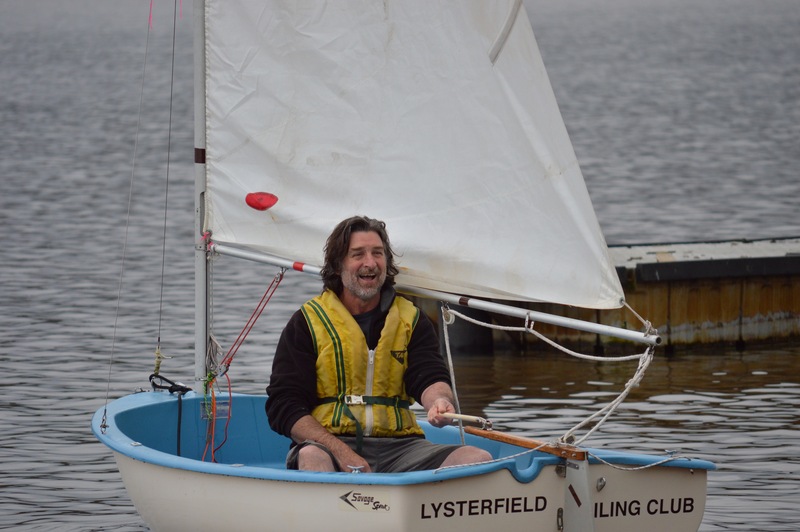 Lysterfield sailing Club is in the process of introducing the ‘Sailability Scheme’, which caters for most levels of disability. Please enquire further if you need more information about this. The focus is on mastery of basic and integral skills and knowledge upon which advanced boat handling skills are based. The focus is placed on foundation skills so that the students who master these find it easier to progress through the scheme successfully and integrate into the sport at club level with relative ease and minimal frustration. Our AYF accredited Sailing School teaches Basic Skills 1 & 2 of the AYF training scheme. The course includes an introduction to fundamental boat handling skills and essential safety knowledge that will allow the participants the freedom of sailing small boats with guidance from an instructor or coach. Expands on the skill elements and performance criteria mentioned above. The course introduces the next level of skills and knowledge that will enable the successful participant to safely and competently sail a small boat in controlled conditions (light winds, enclosed waters) without guidance. How is your training recognised? Upon signing up for the Sailing School you will receive your own ‘Get into Small Boat Sailing’ logbook, issued by the Australian Yachting Federation along with Yachting Victoria’s ‘OnBoard’ participation program welcome pack, in a waterproof document wallet, containing details on a CD Rom. Upon successful completion of the Sailing School your coach will complete the certification within your Log Book. Your qualification will now be recognised because a Registered Training Establishment has endorsed it. Weather conditions may vary from cold to hot, sunny to wet, so students should therefore bring a change of clothing: eg. PFD’s – Personal Floatation Devices (sometimes referred to as life-jackets or buoyancy vests) are supplied. Lysterfield Lake Park is situated at Melways Ref: 108 D1. Entry is via Horswood Road. Our Assembly point is on the lake foreshore directly West of the entry gate (ie. straight ahead) with convenient parking adjacent to our storage facility. The Training Coaches can generally be identified by their green or yellow tops with a Lysterfield Sailing Club emblem. We can sail on the lake at most times but should the weather prevent practical instruction then we shall conduct an appropriate lecture on the land. If the weather prevents sufficient practical sessions then substitute days or other equitable arrangements will be negotiated, in order to complete the course. How do you book ? Contact Rob Sheers on (03) 5968 3766 to find out next available course date. Courses start early in October and January. General course duration 6 weeks (plus an additional 4 weeks use of club boats for practice during afternoon club racing) on Saturday mornings, commencing 9:30 am.